The Alor Valley Resort, can be described as Hospitality 3.0 concept located inside the breathtaking XiXi National Wetland Park, near the city of Hangzhou. For guests visiting, the resort aims to offer a personal immersive experience that draws on the resorts unique landscape, authentic heritage and a balance between environmental and human needs. It aims to represents a forward vision for the future of Chinese hospitality. Shili Fangfei (十里芳菲) – chinese name of the project - a name which embodies the Soul/Ethos for the project was created by the founder, Bei Zhang, reflecting a gift each guest should receive when visiting her resort, a “feeling at home” and a transfer of “luck and fortune”. In order to bring this Soul to life, the resort’s overall theme is built around five key concepts - good wish (美愿 - mei yuan), impromptu (美力-mei li), handcrafted (美物-mei wu), food (美食-mei shi) and living (美宿-mei su) - and perfectly fuse together the Chinese and Western styles to create a "New Life Aesthetics”. For this engagement, CBi China Bridge supported the owner in transforming a idea into an actionable Strategic Service Blueprint. Beyond strategy, we also needed to make sure the team was enabled with a new service mindset, the tools and methods for tackling the development of the resort strategy, customer profiles and experience offering. The use of Service Design combined with an engaged and empowered organization, helped Alor Valley quickly bloom. During 2 years, CBi China Bridge has continually supported Alor Valley organization and the founder, going from inception, to piloting and now the full implementation of the resort. From the start, the goal was to create a Strategic Blueprint that guides and enable the organization to implement the strategy and continually innovating the customers’ experience, while also providing a new definition for the future of Chinese hospitality. To the founder, innovating the Chinese traditional model of hospitality was important to the success of this resort, but it is just as critical to co-create the perfect soul of this project together with her team members, partners, community and customers. •How to fully understand the customers’ perception in order to design a better system? 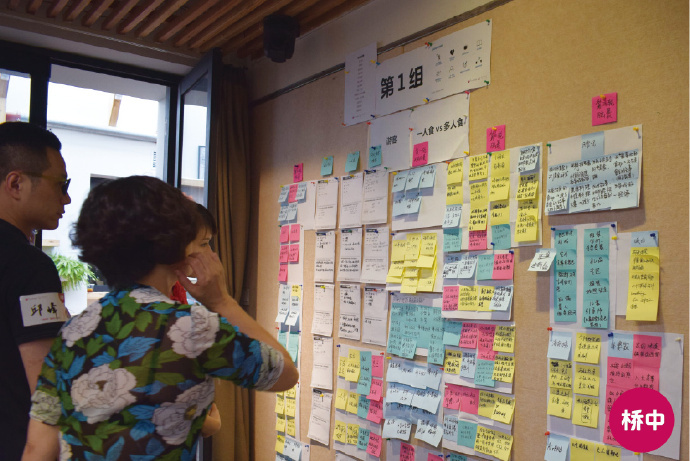 During nearly two-years, collaboration between the CBi China Bridge team and Alor Valley personnel began with learning the principles of Service Design, putting the customers at the center and learning how to co-create relevant directions. The First Phase aimed to create a clear definition of the key elements of the Resort Proposal to the owners of the land, the government. CBi team organized a co-creation session to dive into the problem and build a complete understanding of the context. Both Alor Valley core team members and key stakeholders joined it and, facilitated by CBi China Bridge, gave rise to all aspects of the customer journey to be re-invented. 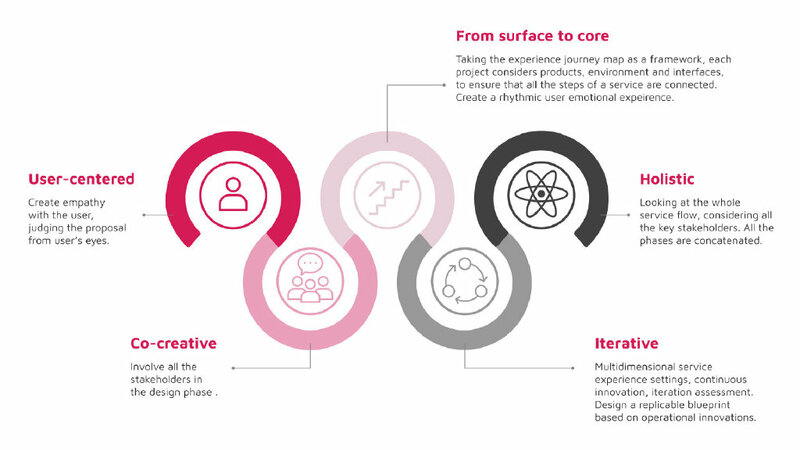 As a result, this phase delivered a competitive and innovative offering, strengthening the working teams alignment, and creating a joint purpose based on users insights and needs. The second phase aimed at reaching two goals: first, generate new ideas and then find the right resources for the project. To reach the first goal, the core team members from Alor Valley took part in a second co-creation session together with external experts from many and differentiated fields; they reframed the entire experience journey. While a crowdfunding campaign, was the answer to the second need of the team. During the third phase real customers were involved in a user test: CBi facilitated them in experiencing the whole journey in the resort and observed their behavior. CBi team collected many valuable insights and found out the main pains and gains of the users. The experience was then refined and improved. Together, our teams analyzed all service touch-points, from products customers used to the environment; aiming to ensure a harmonious and smooth experience, we all needed to understand what, how and why everything needed to work together. "From its knowledge to the way they expressed it, CBi China Bridge’s team guided us from ideas to reality. Only after having discovered our true customers, we were able to better understand how to really be in their shoes.” Alor Valley’s Project Director Yanling Li. Before the official launch, during the Pilot, on September 2018, Alor Valley team conducted a crowd funding campaign to finance the entire project; the team not only reached the funding goal but gained even more than what expected +30’000’000 RMB in around thirty minutes; moreover, they received bookings covering an entire year even before their public opening. Great design results always comes from a good team work and Bei Zhang knew this. Thanks to her past experiences and leadership, the founder was able to create a family rather than just a group of colleagues; this feeling of family is reflected in the service delivery and conveyed to all the visitors lucky enough to visit the resort. She involved all the team members in the design process because she wanted to make take ownership, to be engaged and to treat the services as if it was in-fact their own business. 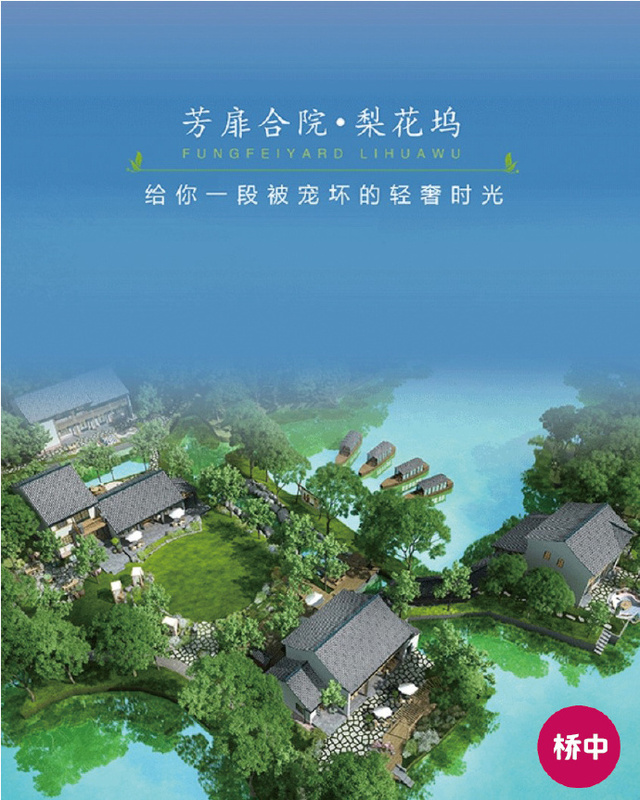 Thanks to the power of Service Design and the fruitful collaboration among the two teams, Alor Valley is nowadays an oasis far away from the chaos of the two of the most advanced cities in the world Hangzhou and Shanghai. It is place where people can be a part of a commune with nature, admire breathtaking landscapes and find profound and priceless peace. “How can we nurture a more interesting and multi-dimensional experience?”, This question needed to be answered in order to take the project to the next level, CBi organized a series of co-creation sessions, focus groups and made use of cross-border resources. Leveraging a multidisciplinary team, CBi China Bridge invited external experts to join the co-creation sessions: art display creators, life aesthetics brand founders, performance artists, brand operations experts, space designers, senior media promoters, business innovation consultants and project operations experts. More than 100 concepts were created and roles and responsibilities were allocated to each Shili Fangfei’s team member to explore and validate before taking action.